There are three books being released in May about which I am very excited. Some good books to have ready for my vacation in a couple of weeks! 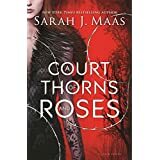 The one about which I am most excited is A Court of Thorns and Roses by Sarah J. Maas of Throne of Glass fame. This is a retelling of the classic fairytale Beauty and the Beast and tells the story of Feyre, a young woman who becomes entangled with the mysterious fey in order to save her loved ones. I understand this will be the start of a series of books as well. I’ve loved the Throne of Glass series and the five chapter sample which has been released has only served to whet my appetite. A Court of Thorns and Roses is released on May 5th 2015. I can’t wait! 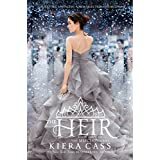 The next upcoming release I’m looking forward to is Keira Cass’s The Heir. This is a new story set 20 years after the events of The Selection and deals with the attempts of America and Maxon’s daughter to find her partner in a Selection of her own. I’m also really looking forward to this one. The One, the final book in The Selection was one of my top reads of 2014 – if you remember, it’s The Hunger Games meets The Bachelor. I look forward to seeing what’s gone on in Ilea in the last 20 years and if Maxon and America have been able to achieve their aims. It’s not often that you get to see the aftermath of a dystopian series 20 years later. The Heir is also released on May 5th 2015. 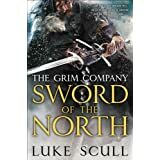 The Sword of the North is the second in Luke Scull’s grimdark series The Grim Company. It’s been a while since I read book one, so I can’t remember much about it. I do remember though that I was very invested in the characters at the time. Book two is on preorder and should hit my Kindle also on May 15th. Are you planning to pick up any of these? Let me know in the comments.